A Twin Peaks point and click prototype e.g. not a full/finished game just a short proof of concept of the basic game ideas. Includes systems for picking up, using and combining items, conversations/dialogue choices and puzzle interactions. No major or explicit spoilers but contains imagery from the series and a couple of lines of dialogue from season 3. No affiliation with Twin Peaks, this is just a fan game. Just download the zip file, extract the folder and then start the application. Great start to what looks like a very promising game. 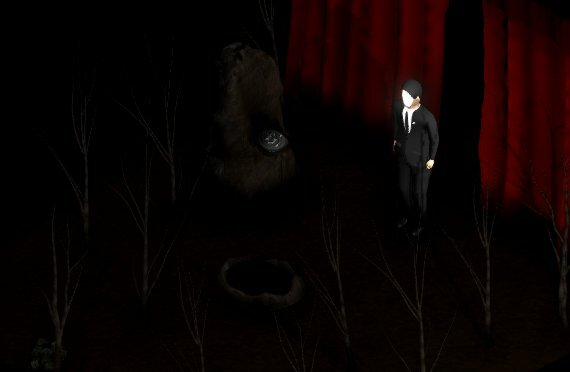 As a massive Twin Peaks fan, I love the attention to detail with this one - I'm excited to see there are even fan games out there, but I really appreciated the elements from The Return series (2017). Very much looking forward to more content from you, and hope that this game will see its way to full development.